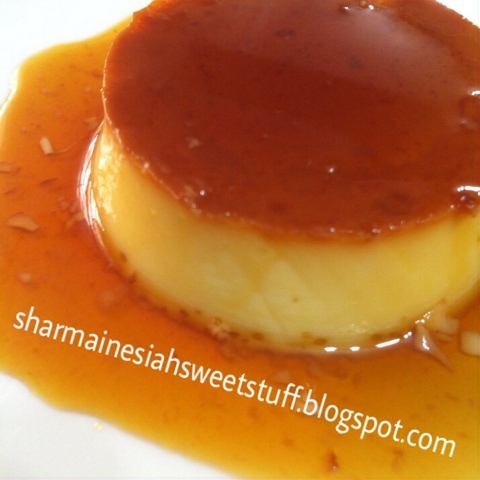 Crème Caramel is a French upside-down flan or custard dessert with a layer of soft caramel on top and has delicately silky and smooth texture. 2. Divide the caramel equally into prepared ramekins. Arrange ramekins in a big tray and set aside. 3. In another sauce pan, pour in the milk for the custard and bring it to a boil. Then let it cool for 10 minutes. 4. 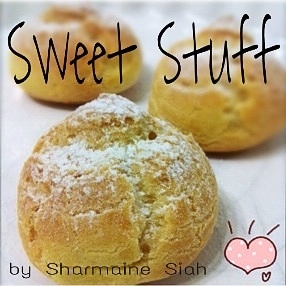 In a bowl, add in the remaining ingredients for the custard and beat until yellowish white. 5. Combine the milk and the egg mixture in the bowl, stirring constantly. 6. Fill the ramekins with the custard mixture and carefully pour boiling water into the tray, filling just halfway up the sides of your ramekins. 7. Bake in preheated oven 180∘C (350∘F) for 30 minutes or until custard is set. 8. Remove ramekins from tray and serve warm or chilled in the refrigerator for at least 3 hours. To serve, run a knife around the edges, place a dish on top of the ramekin and turn upside-down.